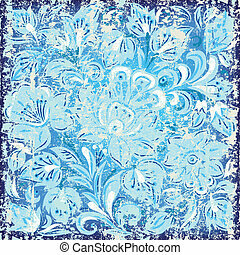 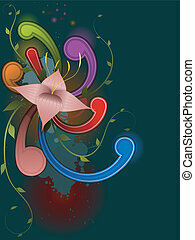 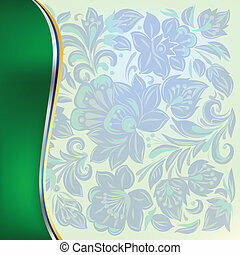 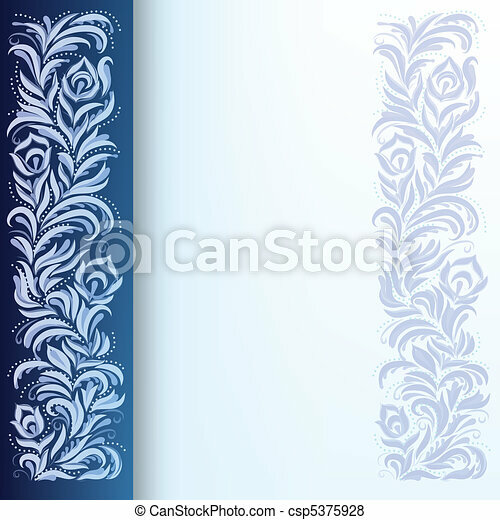 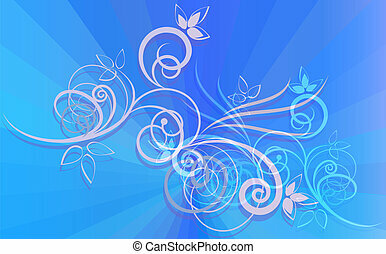 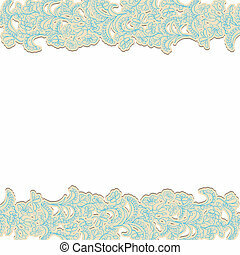 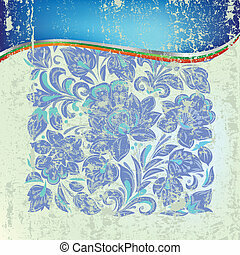 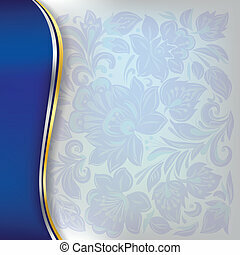 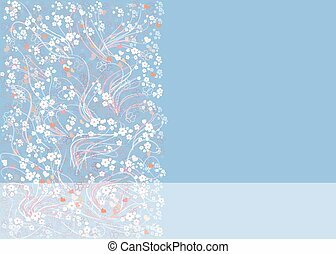 Abstract background with floral ornament on blue. 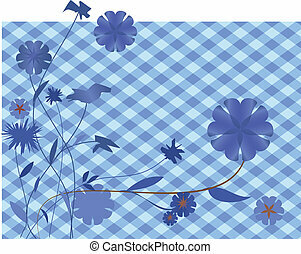 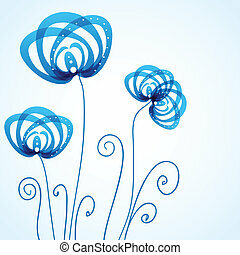 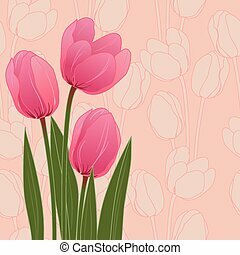 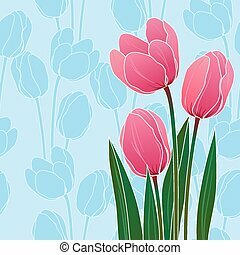 Abstract floral illustration with tulips on blue background. 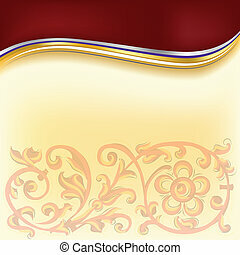 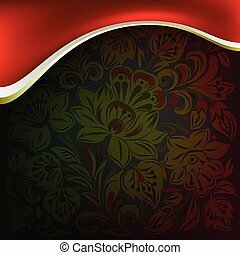 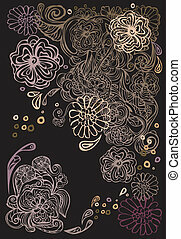 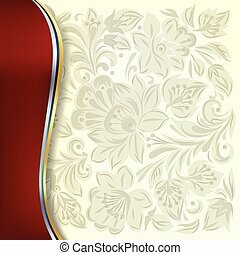 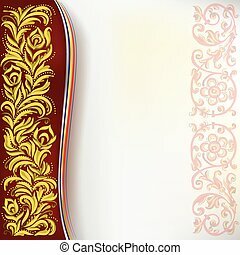 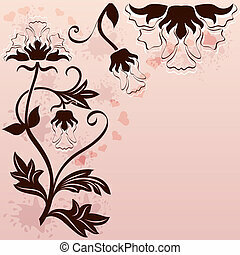 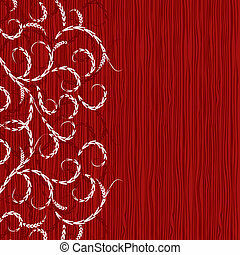 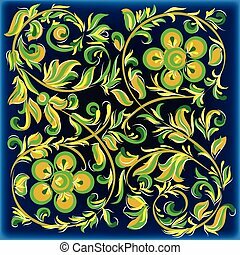 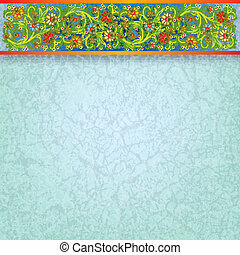 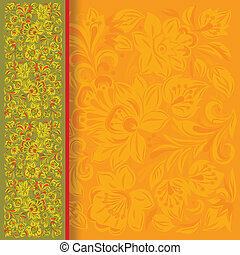 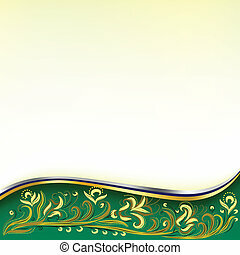 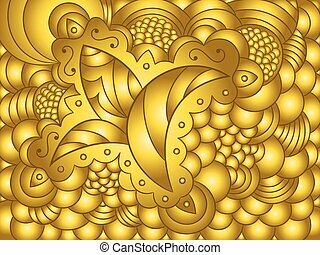 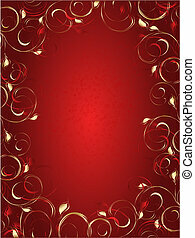 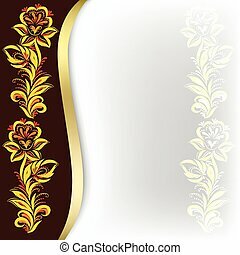 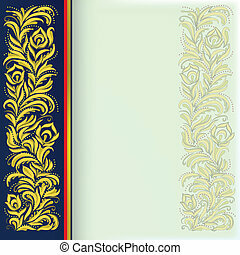 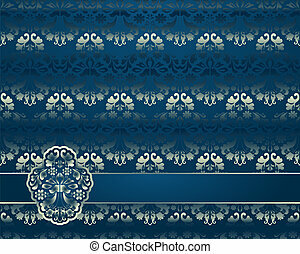 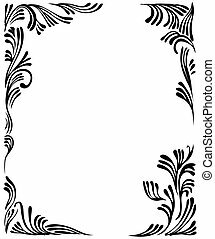 Floral ornament on blue rays background.